The exhibition will feature copies of documents, maps, photographs, and posters. Items on display detail the horrors of the 900-day Nazi siege. The State Museum of the History of St. Petersburg opened an exhibition (in Russian) at the Museum of Russian Art in Minneapolis, Minnesota, which is devoted to the history of the Siege of Leningrad. Titled “The Siege of Leningrad: Heroism and Tragedy,” the exhibition includes a multimedia presentation of one of the most tragic events of WWII – the 879-day Nazi encirclement and blockade of Leningrad in 1941-1944, and it will show the city’s struggle and survival through photographs, films, maps, and stories of the war period. “The exhibition will highlight both the gruesome side of the war and the life-affirming effort of the people who lived through the horrible ordeal,” said the Museum of Russian Art in a statement. The exhibition will also feature copies of documents, maps, photographs, and posters from the collection of the State Museum of the History of St. Petersburg, and will also include a copy of the daily journal of Leningrad schoolgirl Tanya Savicheva. “The Siege of Leningrad exhibition will display a copy of Tanya Savicheva’s journal. There are just nine pages in it; six of which are taken up by the dates of the deaths of Tanya’s immediate family: her mother, grandmother, sister, brother, and two uncles. The original is kept at the State Museum of the History of St. Petersburg,” RIA Novosti reported (in Russian), citing the museum’s press service. The Siege exhibition runs from Feb. 18 to Jun. 4, 2017, and is in partnership with the Blavatnik Archive, New York. 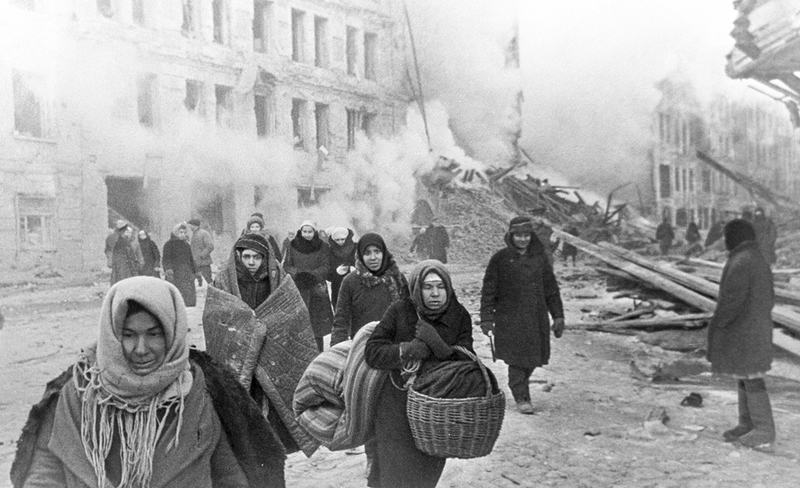 The Siege of Leningrad by Nazi Germany lasted from Sep. 8, 1941 to Jan. 27, 1944. According to various estimates, it claimed between 400,000 and 1,500,000 lives. Most deaths were caused by hunger.